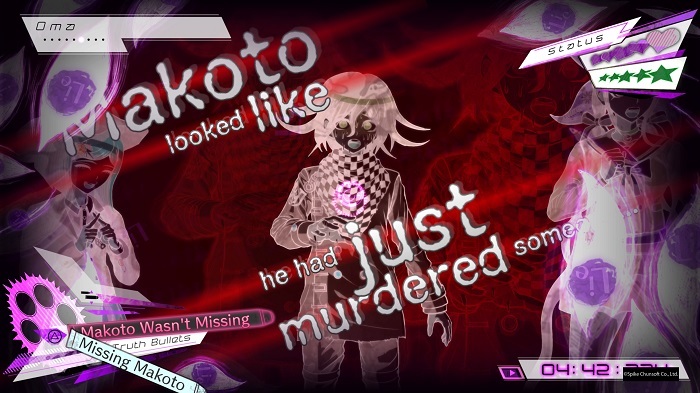 Danganronpa V3: Killing Harmony is the Ultimate Murder Mystery Game. 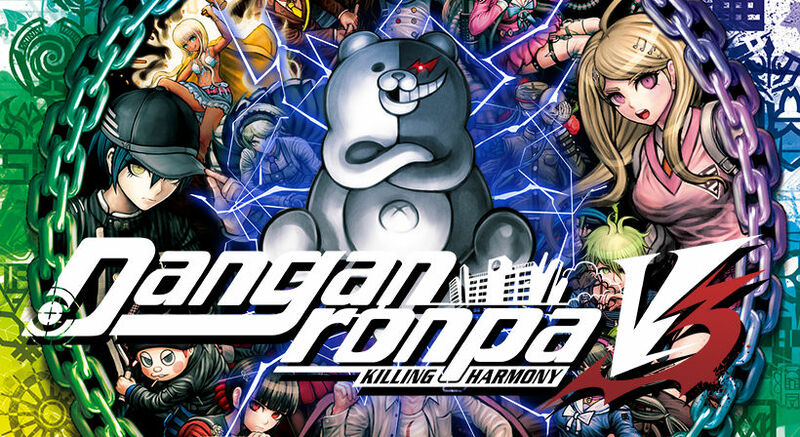 Danganronpa writer Kazutaka Kodaka, unbound by the shackles of common decency or common sense, has turned the dial up to eleven in Danganronpa V3: Killing Harmony. It is stuffed like a maniacal robot bear with gruesome murders, puzzling minigames, and outlandish plot twists. Everything that made Danganronpa 2: Goodbye Despair so amazing—and so polarizing—is intensified. Despite fairly modest improvements in art quality and gameplay, Danganronpa V3 is leaps and bounds ahead in its narrative focus and nail-biting murder mysteries. The hallmark Killing Game is back in Danganronpa V3: Killing Harmony. Sixteen talented students are once again forced to murder one another in order to escape from their everyday prison. Survival means accusing fellow students of heinous crimes, sifting through their lies to reach an often painful truth. This has never been more crushing as it is in Danganronpa V3. Other characters will chastise you for suspecting a friend, even when the evidence points squarely in their direction. At times, the only guiding light is your own judge of character. With culprits whose motives can be complex and their backstories filled with twists and turns, it can be difficult to condemn them to a cruel and unusual punishment. Separating the truth from a myriad of lies. The key theme of the game is the conflict between truth and lie. Each Danganronpa entry has relied on characters motivated not only to survive, but to achieve hidden goals. Characters may lie not because they are guilty, but to protect a friend or mask their involvement in a case. Danganronpa V3: Killing Harmony turns this on its head by forcing the player to make those same tough decisions. You must lie to protect your friends and seek the absolute truth. Truth Bullets change to falsehoods, perversions of the truth that only you could know. And when those shots land, you can commit a Perjury. It isn’t always easy to know when to commit a Perjury. Moving a case forward often means clearing an innocent character of suspicion, but if their alibi is weak you may simply have to take their word for it. Protecting them means that you can continue searching for the truth of the matter when the rest of the Killing Game participants would rather end the trial there and then. Nothing is as tense as the brief moment after a successful Perjury when other characters slowly take the bite. Driving down the long road of justice. 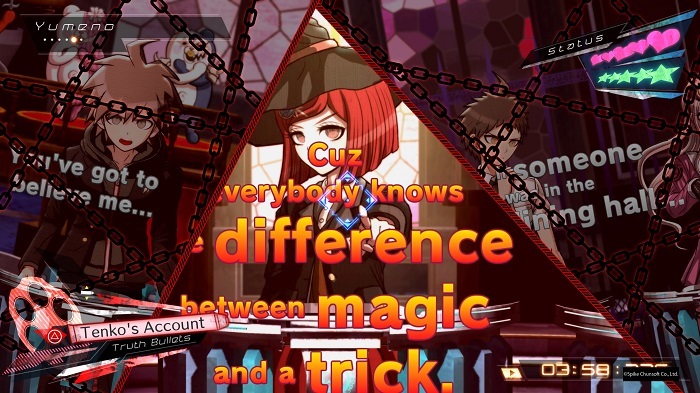 Each class trial is punctuated by a whole gaggle of minigames. These minigames represent internal and external arguments and—to varying degrees—help seek the truth. 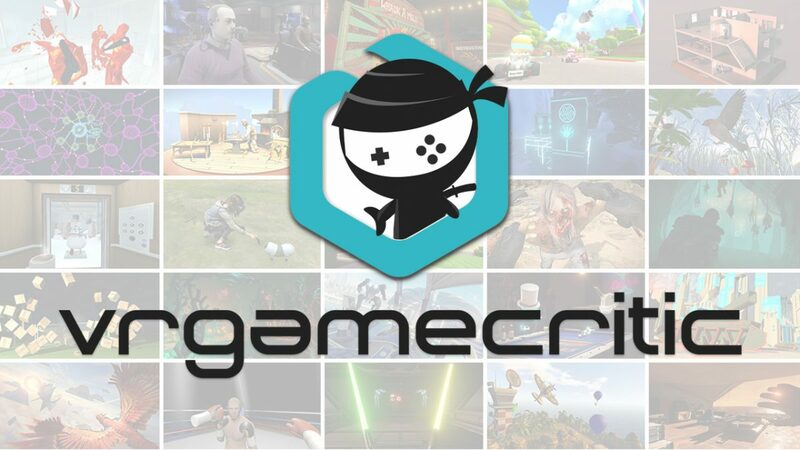 With the addition of Perjuries, the most common minigames are the returning Nonstop Debates. They are the bread and butter of any class trial and point out inconsistencies in others’ arguments. One variation of Nonstop Debates included in Danganronpa V3: Killing Harmony is the Mass Panic Debate. During a Mass Panic, multiple characters will give their testimonies simultaneously. The rules work almost exactly like Nonstop Debates, but one character may drown out the others with their panicked cries. It’s chaotic and frustrating, but how else could you represent the hysteria of terrified teenagers? 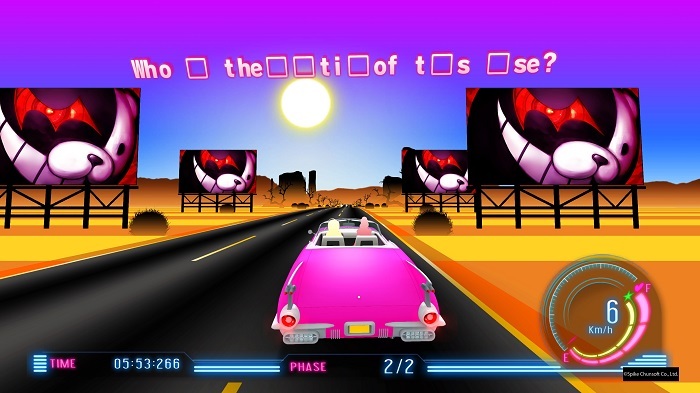 Psyche Taxi is another minigame introduced in Danganronpa V3: Killing Harmony. 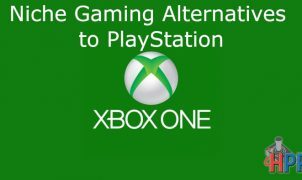 It’s a little less straightforward, and represents an inner monologue that helps the player come to a new conclusion. You drive a taxi down a long road and collect blue floating boxes. Rather than coins and shells, these boxes fill up the words to a question at the top of the screen. Once you’ve fully revealed the question, you’ll be given several seconds of Thinking Time to come to an answer. Each choice is represented by a buxom passenger, and picking up the correct passenger moves you to the next question. But if you ram an incorrect answer, an imaginary civilian’s blood will stain your hands… and you’ll lose a few seconds on the timer. Danganronpa fans have witnessed conspiracies unravel, evil organizations overturn the world order, and unimaginably convoluted twists unfold. Those who have braved these trials would be amiss to skip out on the messiah of madness, Danganronpa V3: Killing Harmony. My only warning is that newcomers to the series should really consider playing its predecessors. 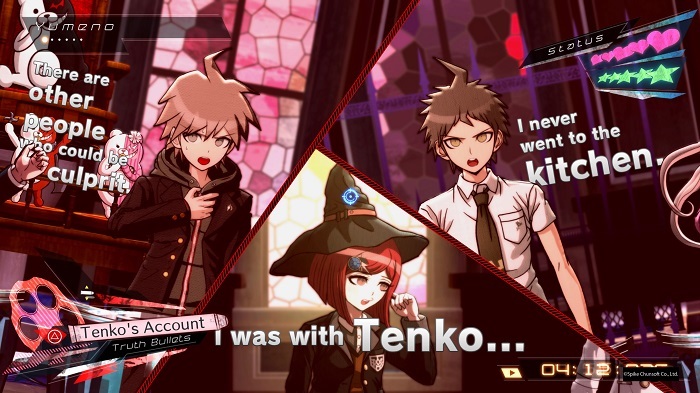 Despite writer Kazutaka Kodaka’s assertion that “the presence of Monokuma will be pretty much the only connection to previous Danganronpa games”, V3 is built upon the shoulders of giants. Full disclosure: This review is based on a review copy of Danganronpa V3: Killing Harmony given to HeyPoorPlayer by the publisher.